One day while I was on my way to Holy Mass, I saw my priest walking up his driveway. I said a prayer for him and pleaded to the Holy Seraphim for him,that he would be protected. I sought the highest level of angels for him because I was given how much a Priest is hated by the evil one. If the demon was given the choice of any person whose life he could take on the earth, the first person he would pick would be a good and holy priest on the path to becoming a saint. We do not understand the protection God gives us daily by His angels. For a moment I was no longer in my car, but I was close to these large beings that I knew where before the throne of God. They are constantly before God, and there is no space or gap between them as they are before the Lord, they are like a constant wall surrounding the Throne. I see why the prophet saw so many wings, because the light coming from them makes them look like multi-winged creatures. I saw one of the Seraphim turn from God to look at me and hear my plea. This astounded me, because nothing happens unless God allows it. 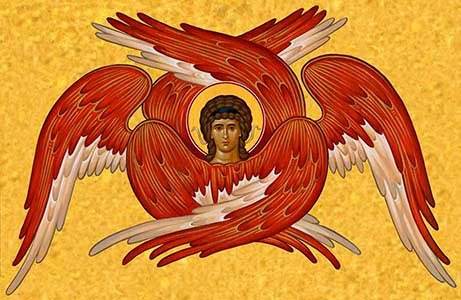 The Seraphim's job is to be before the Throne, giving glory and praise to God, but God in His goodness and love for us has not denied us even this highest of ranking angels, the ones that are His alone. Even these angels that are solely God's He will not deny us. The Seraphim that turned from the throne of God not because I am anything special, because I am a creature that will die, they will never die. But God allowed this turning from His throne to hear my plea for my priest out of His love for us. How can one understand the depth of the love of God that will not deny a child created from dust the attention of his most beautiful and holy creatures that are for Him alone? The Seraph could not have turned from God unless God had allowed it. I love Him so, but it is so little compared to how love God loves us. I was given to understand that the Seraphim are the largest angels, if there is such a thing as size in the realm of eternity. Understand, what was given to me, was for my understanding only, it is the only way I could comprehend a concept that God was trying to show me. 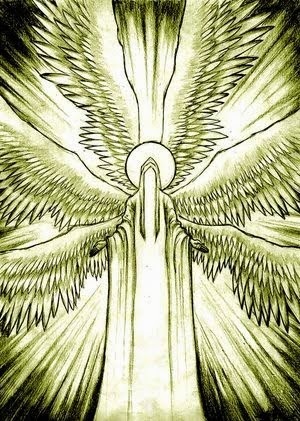 I was shown that the Seraphim are big, like their feet would be on Pluto and their head would be at the sun. Understand, this was only for my limited understanding, because God wished to give me a scale I understood so I could convey that the Seraphim are large. But in the realm of eternity, where the Seraphim are, there are not such measurements and I can not fully understand the meaning of this "measurement" of an angel until I was myself in eternity.